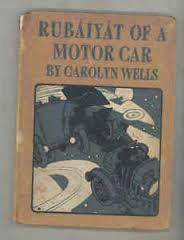 Carolyn Wells was an American poet and novelist whose earlier writing covered areas such as children’s stories and nonsense poetry. 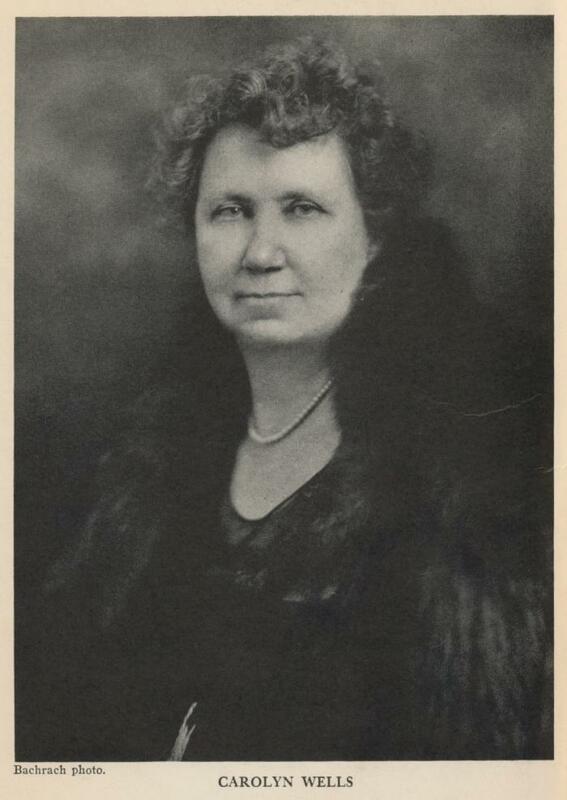 She changed direction when, in 1910, she heard an Anna Katherine Green mystery novel read out loud and decided that this was her preferred style from now on. 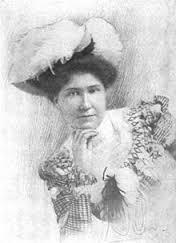 She was a prolific writer, publishing some 170 books during her lifetime, as well as having stories and poems published in such British publications as Punch and The Lark and a number of American newspapers. 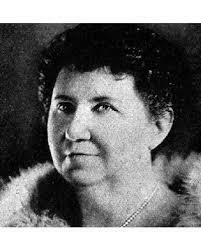 Carolyn was born in June 1862 in Rahway, New Jersey. Her childhood development was seriously curtailed when, at the age of six, she contracted scarlet fever and lost her hearing as a result, although it is not certain if this was a permanent affliction. Despite this she graduated from high school as a valedictorian and went on to study humanities and science. Having established herself as a children’s writer, and writer of humorous stories and poems, she went on to concentrate on a series of mystery novels and she produced a remarkable 61 different titles as part of a series called the Fleming Stone Detective Stories. 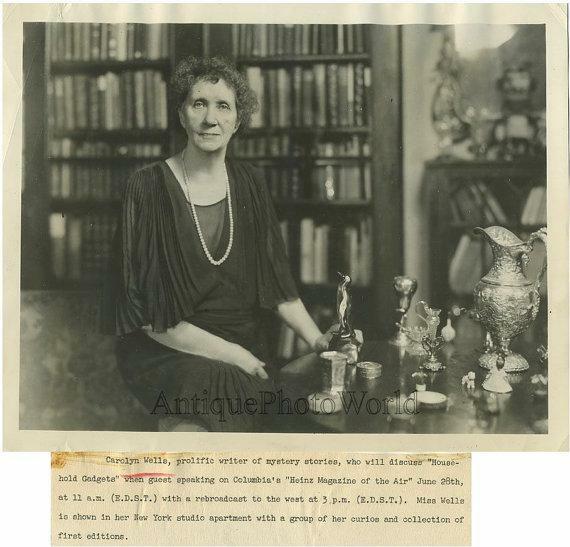 In total she had over 75 stories published of the detective/mystery genre and, as a guide to future authors of this style of writing, she produced Technique of the Mystery Story in 1929. Critics reported that she was, without doubt, a leading exponent in this field. 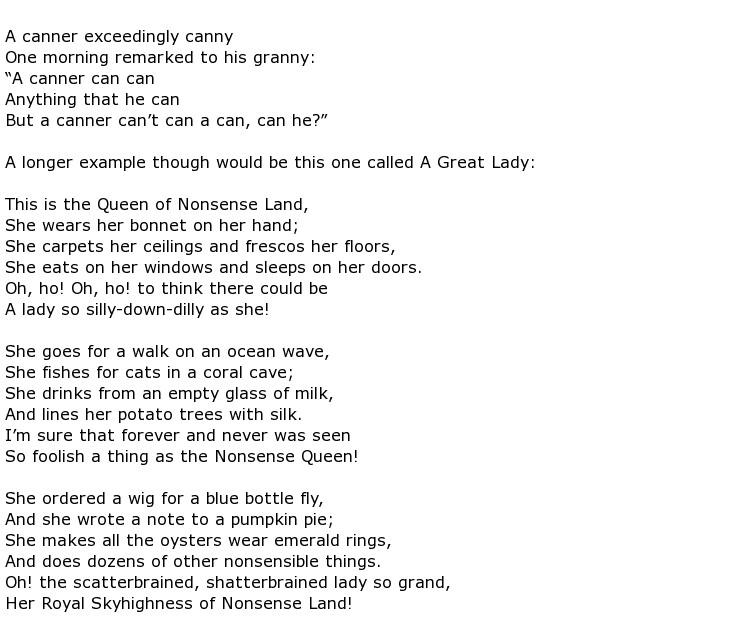 She did not, however, completely abandon her light-hearted poetry writing that was aimed, primarily, at children. 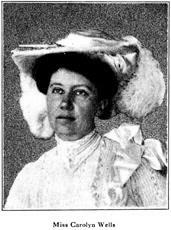 In the early years of the 20th century she was much in demand for contributions to the various newspapers Sunday comics sections. In collaboration with illustrators such as William F Marriner she produced work with titles such as Animal Alphabet. Later she wrote for the Herald in New York and possibly the last thing she ever did was a piece which was published in the American Weekly in 1942, posthumously. 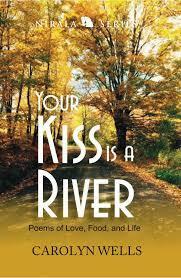 Throughout her life Carolyn collected a great deal of work by other poets and authors including a significant collection of work by the famous American writer Walt Whitman. No doubt wishing that this work should remain in the United States she bequeathed this rare and valuable collection to the Library of Congress. Even her marriage had literary connections. Her husband was Hadwin Houghton, the heir to the Houghton-Mifflin publishing empire that was originally set up by Bernard Houghton. 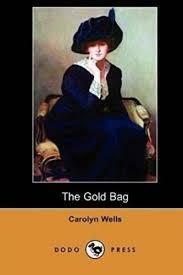 Carolyn Wells died on the 26th March 1942, in New York City. She was 79 years old.